Once again, eBay ranks in at #5 on the Index, but year over year, the brand’s score has increased by 16 points. eBay’s Interests is a key addition to the brand’s personalization strategy. With Interests, customers are prompted in-app and onsite to identify categories (think hobbies or styles) they like and then eBay tailors individual shopping experiences around the results. When a consumer loads the homepage, a unique landing page of recommendation-based products appears just for that customer. Interests acts as the glue that would otherwise seem like an incohesive collage of product verticals. 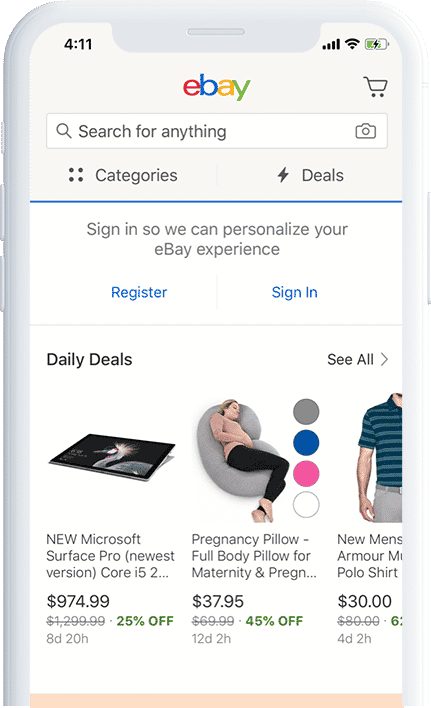 eBay pinpoints the stage of a user’s shopping journey, whether they’ve browsed, favorited or purchased an item, and aims to hold the shopper’s hand to find them the right product and ultimately nudge them a bit further on their path to purchase. This year, the digital marketplace stepped up its mobile experience with a richly personalized mobile app, including an in-app messenger, and appears to have broken out from category-only based recommendations to mixed category-based recommendations to promote discovery across its vast inventory. eBay’s emails contain highly relevant recommendations to suggest new products and deals. 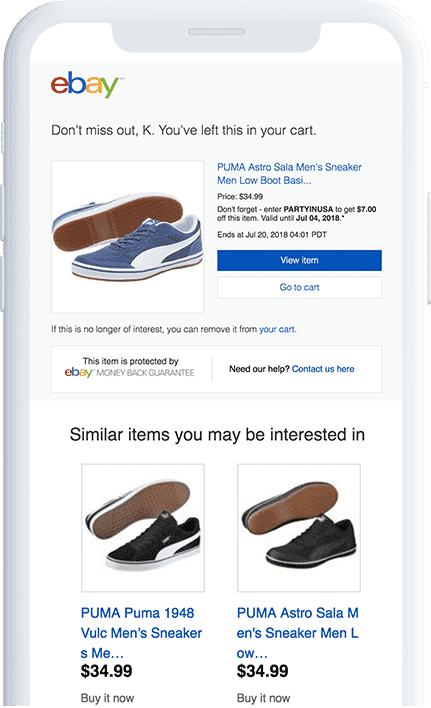 Its cart abandonment emails smartly contain well-curated recommendations within the creative demonstrating that most tactics can benefit from a personalization-driven refresh. 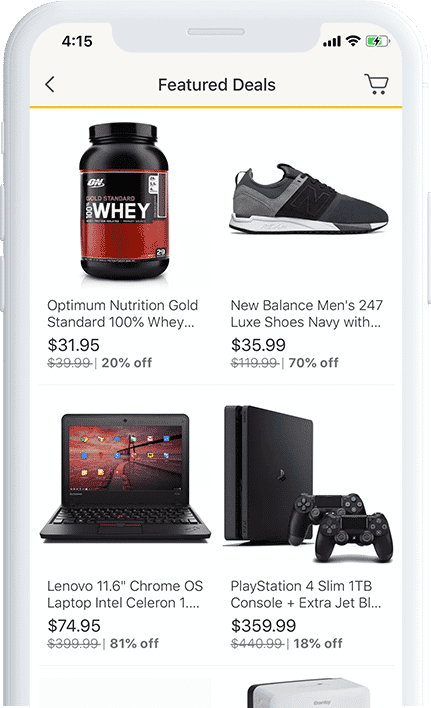 Using products or categories you’ve previously searched for, eBay drives buyer spending by advertising cheaper versions of the same products in its Daily Deals section, which extends seamlessly from site to app. It’s a smart way to retarget browse abandonment in an organic manner and/or reactivate to drive repeat purchase rate.